The world of fairy tales is not a happy one. Their lessons were cruel and their plots turned on acts as malicious and vengeful as they were physically deforming. In the earliest written versions of Cinderella, for example, the wicked stepsisters hacked off toes and cut away parts of their heels to fit into those glass slippers. Since then, modern parenting and Disney have sanitized them for our protection. 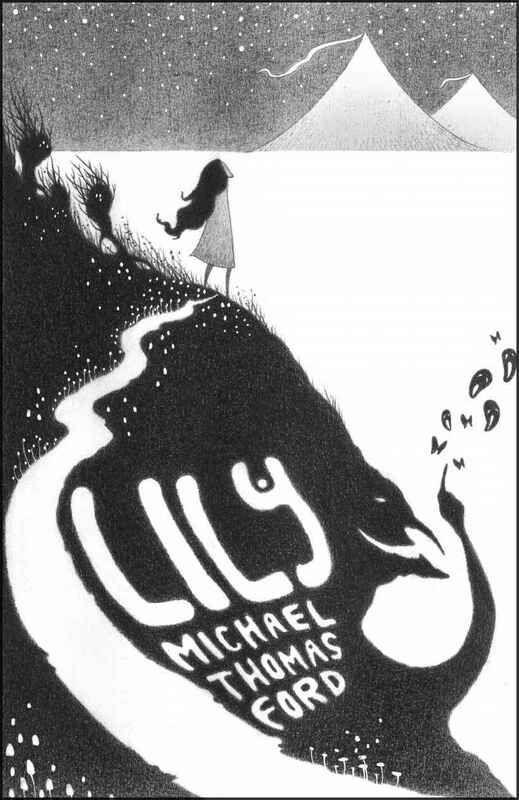 In Lily, Michael Thomas Ford takes the fairy tale back to its darker roots. Lily is a girl who discovers, through her father’s demise, that she can see how anyone who touches her will die. Needless to say, this seems less a gift than a curse and once her mother takes her away from home, Lily tries to rid herself of the ability. This brings her to the Reverend Silas Everyman’s traveling tent revival show. Dangling that promise in front of Lily, Everyman uses her to enhance his own reputation—despite the presence of Baba Yaga, who follows Lily on her quest. Can her love for Star, the tattooed girl, cure her? Telling would be churlish. Ford draws this wonderfully dreamt and detailed story together from familiar strands and foreign threads, weaving a deeply contrasted tapestry of myth and harsh reality. Lily is an innocent who yearns for the truth she also fears. She knows deep down that nothing will rid her of the gift she possesses, but she achieves a delicate peace with it once she sees how her own end is tied to someone she touches. An innocent young girl, however, has no place in a fairy tale without delicious evil to balance out the story. Reverend Silas Everyman is the quintessential American huckster. Backed by an army of evil clowns and his own quasi-religious fervor, he’s a perfect foil to Lily’s goodness. But the star turn on the dark side belongs to BabaYaga, used as a sort of Greek chorus to follow and comment on Lily’s adventures. A foul, mean-spirited, child-eating crone with bad breath and a worse attitude, she’s absolutely terrific. What struck me most about Lily was how familiar it all felt. Ford taps in to some mighty well-used archetypes but mashes them up to create a story unique in its own right. Take a bit of Old Scratch, some P.T. Barnum, a dash of evangelical hypocrisy, stir it all up in a cauldron by the light of a midnight moon, and you have a hearty fairytale stew. Discomfort food. And I would be remiss if I didn’t mention the incredible interior and exterior artwork by Staven Andersen, which adds to the otherworldly mood while it comments on the story itself. It’s great to have you back, Mr. Ford. What’s next?